SAP® Business Suite touches every department of an organization. From enterprise resource planning and customer relationship management to supply chain management, an incredible amount of data is created and accessed every single day. Now, reaching beyond structured data formats, SAP® HANA enables enterprises to incorporate even unstructured data from sources like IOT in their business decision-making. All of this is contributing to tremendous data growth. 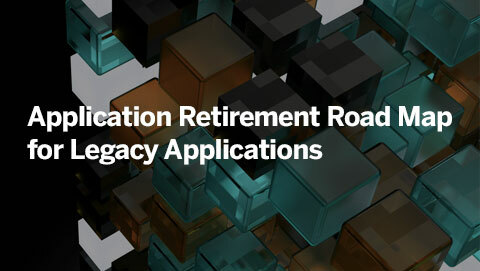 As data continues to grow at accelerating rates, your SAP® applications can become slow and unresponsive; and backups and recoveries can take longer. Adding more hardware as a solution to data growth will only increase the TCO of your SAP® systems and more so if you are migrating to SAP® S4/HANA. Efficient data management is needed to leverage the full capabilities of SAP® systems. Archiving has emerged as a critical component to Information Lifecycle Management (ILM) best-practice to meet data growth challenges. 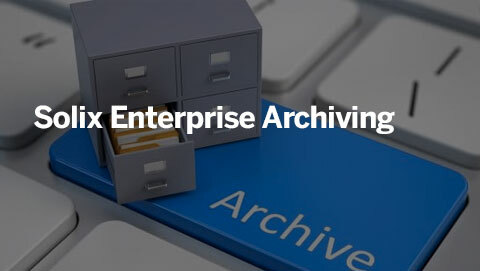 Solix Enterprise Archiving for SAP® powered by Solix Common Data Platform (Solix CDP) provides a unified ILM framework to archive all enterprise data, both structured and unstructured, to optimize application performance, reduce costs, and achieve compliance goals. The Solix Enterprise Archiving leverages the low cost and high-performance nature of open source Apache Hadoop framework to allow economical storage and real-time processing of petabytes of structured and unstructured data. 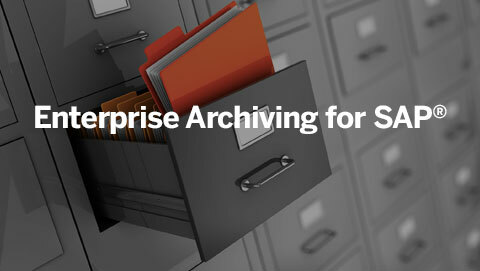 Solix Enterprise Archiving for SAP® coordinates a copy of online application data including custom tables to a Hadoop repository or object storage and then validates the archived data before purging it from the source. 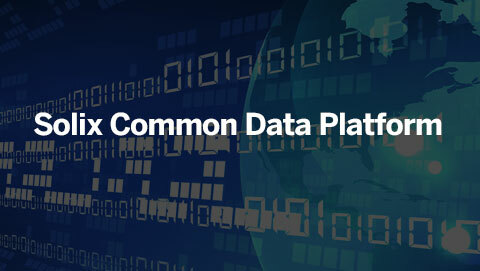 At the time of ingestion, metadata is captured and stored to provide comprehensive data governance. Archiving is done based on retention management policies, with support for custom business rules. All deletions are done in a defensible manner with audit records and chain of custody. Additionally, Solix Archiving for SAP® offers print report archiving, an ability to generate and archive printed reports from the SAP® application in readable formats, such as PDF or text. Helps access reports in the future without any dependency on native application. Solix also provides the ability to de-archive the data back to SAP® database when needed.